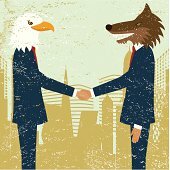 NVIC Calls 21st Century Cures Act “A Wolf in Sheep’s Clothing” and Urges Presidential Veto to Protect Public Health | "Global Possibilities"
The non-profit National Vaccine Information Center (NVIC) says the 21st Century Cures Act (H.R. 34), which was pushed through the U.S Congress this week with a 94 to 5 vote in the Senate yesterday, is a threat to public health and should be vetoed by the President. The 996 page Act has been promoted by Congress as a consumer friendly bill to fund medical research and make new prescription drugs and medical devices more quickly available in the U.S., but it also lowers licensing standards used by the Food and Drug Administration (FDA) to fast track experimental vaccines to market that will be federally recommended and state mandated for use by all children and many adults in America. The 21st Century Cures Act introduced in 2015 and expanded in 2016 weakens informed consent protections for people participating in experimental vaccine clinical trials. It allows drug companies to use surrogate endpoints to evaluate the effectiveness of vaccines and permits the FDA to accept novel statistical analyses and clinical experience related to a new vaccine’s reactivity, instead of requiring drug companies to conduct large randomized clinical trials to demonstrate safety. It prevents vaccine manufacturers from being sued in civil court if an FDA licensed vaccine given to a pregnant woman causes the injury or death of her unborn child in the womb. In 1986, Congress gave the pharmaceutical industry a partial civil liability shield from vaccine injury lawsuits in the National Childhood Vaccine Injury Act, which created a federal vaccine injury compensation program (VICP) that to date has awarded $3.5 billion for vaccine injuries and deaths. In 2011, the U.S. Supreme Court declared FDA licensed vaccines to be “unavoidably unsafe” and effectively removed all product liability from vaccine manufacturers. The U.S. government recommends that children receive 69 doses of 16 vaccines between day of birth and age 18 and all 50 states have mandated dozens of doses of at least 10 of those vaccines for children to attend school. Since Congress shielded pharmaceutical companies from vaccine injury lawsuits three decades ago, there has been a 2900 to 3700 percent increase in the cost to vaccinate a child with all federally recommended vaccinations. The current per child vaccination cost is about $2,100 per child vaccinated in a public health clinic and $3,000 per child vaccinated in a private pediatrician’s office. In 2015 and 2016, more than 200 vaccine bills backed by the pharmaceutical industry and medical trade were introduced in multiple states. Most of those bills mandated the use of more federally recommended vaccines for school attendance and employment, and restricted or eliminated personal belief vaccine exemptions, including those protecting freedom of conscience and religion. All but two state legislatures voted against eliminating vaccine exemptions, but seven vaccine bills have already been filed in the Texas legislature for consideration in 2017 that restrict informed consent rights and threaten vaccine exemptions. The National Vaccine Information Center (NVIC) was founded in 1982 to prevent vaccine injuries and deaths through public education and advocates for inclusion of informed consent protections in U.S. health policies and laws, including flexible medical, conscientious and religious belief vaccine exemptions. Read a referenced video commentary published by NVIC in 2015 after the 21st Century Cures Act was first introduced into Congress.